We all online shop, right? Well, how often do you find the perfect product for your upcoming post, but don’t want to have to search for the Affiliate link on ShareASale? The process of finding a product to getting the product’s Affiliate link can take too long! Sifting through datafeeds or going back and forth between tabs can be time-consuming. 1. On ShareASale or Not on ShareASale? Instead of having to search within the ShareASale interface, use the Product Discovery Bookmarklet Tool. Clicking the Bookmarklet will easily allow you to identify whether or not a retailer uses ShareASale for their Affiliate Marketing platform. When this happens, the bookmarklet tool will display an image similar to the one above. 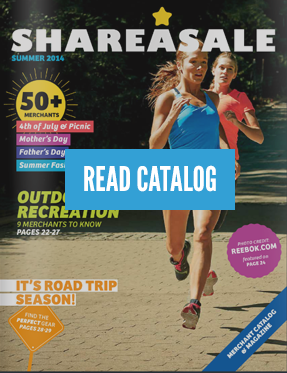 Even if a Merchant is on ShareASale, you may not be a member of their program. The Product Discovery Bookmarklet Tool allows you to request to join their program right then and there, without having to switch browser tabs or spend time searching for their Affiliate Program. Do you remember ShareASale baskets? If you find a product that you may not want to use right away, add it to one of your baskets! They are great for storing products or Merchants that you want to use later. Using baskets is a great way to organize your Affiliate Marketing efforts by project or topic. It also allows you to quickly use other ShareASale tools such as the Make-A-Page tool. The best way that the Product Discovery Bookmarklet saves you time is by allowing you to grab an Affiliate link directly from a Merchant’s website. No more back and forth, everything you need is right there. The bookmarklet gives you the flexibility to choose an image and layout, customize the text, grab a license plate link (for social media purposes) and even add advanced tracking to the Affiliate link. It is all right there, with the click of a bookmarklet! Sounds like the best tool ever, right? Click below to get the ShareASale Product Discovery Bookmarklet Tool for your browser! Get step by step instructions on how to use the ShareASale Product Discovery Bookmarklet tool. Baskets help organize the Merchants and products you searched for inside your account. The foundation of a successful affiliate website encompasses a variety of different marketing components. Check out some of our favourite tools!